Great imaginative inflatable float for kids! A string of 3 rings create a ride on centipede. 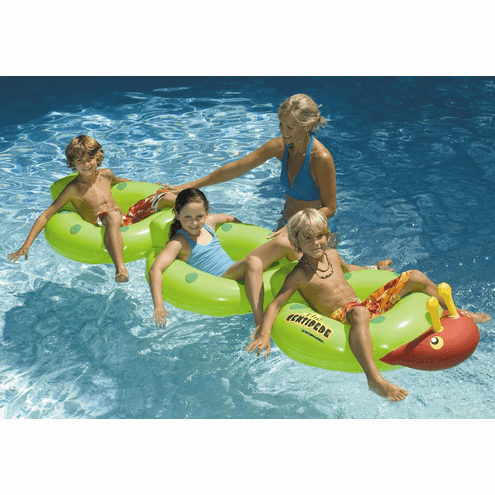 With their arms and legs, kids provide the appendages for the centipede to power this creature around the swimming pool or lake. Great for fun and fitness!